the vilafonte wine blog: Here is a blog (stolen) from Tony Quinn's blog. Tony runs Cleveland Park and Liquor on Connecticutt avenue in DC - and is a long-time supporter. Here is a blog (stolen) from Tony Quinn's blog. Tony runs Cleveland Park and Liquor on Connecticutt avenue in DC - and is a long-time supporter. It was I think back in 1995 when I met Zelma Long for the first time at the Citronelle restaurant in Washington D.C. I was just about to leave my job wholesaling wines for Wines Limited and start my new job with Forman Brothers Imports. I was replacing Chris that had been at Forman Brothers for forever. I was invited by Dee Hutton to come and meet Zelma at their kick-off meeting with the wine staff of Forman Brothers that I would become a part of : i.e. the retail(off-premise ) division. I had heard about Zelma Long for years. She and her ex-husband had started the LONG winery years ago and John still owns and runs it.Zelam had gone on to both be a part of the wine-making at the Robert Mondavi winery as well as the Simi winery. She was wearing her Simi hat so to speak when I met her at Citronelle. What a marvelous evening that was of fine hors d'ouevres and fine Simi wines. I have a list somewhere and may include it at a later date. This blog is however, more about her ventures with her new husband in South Africa. Together with Mike Ratcliffe of the WARWICK estate in Stellenbosch, South Africa they would make and promote two really " new " additions to the South African red vocabulary of wines. These two wines which we sell at the store are called " Series M " and " Series c " - both from the 2003 vintage that we began selling. The " M " is around $50 a bottle and the " C' is around $75. 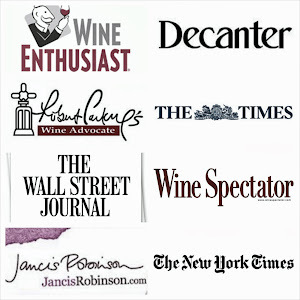 I use approximate prices because I have not bought the wines for awhile and prices may have gone up. They may have gone down, too. I'll have to check when back at the Cleveland Park Wines & Spirits tomorrow now that I am finally blogging about Zelma, VILAFONTE, Mike Ratcliffe and Dr. Phillip Freese ( head wine-grower of the VILAFONTE vineyard which he calls " different by design ", spent 13 years as Robert Mondavi's Vice-President of Wine Growing, also consulted at CAKEBREAD, FAR NIENTE, WARWICK, RUSTENBERG and DE WETSHOF( last 3 wineries in South Africa ) ). Impressive. Stylistically these two reds are " different by design " and by taste. I really like them with food but they remind me in my humble opinion of nothing else that I have ever had in South Africa.That of course begs the question of what they do indeed remind me of and whether or not that is a good thing. Does it matter? Yes and no. For me the two reds ( using clones of Cabernet Sauvignon, Cabernet Franc, Malbec and Merlot ) are certainly more international in style : thicker, richer, denser, more weight and with what I like to refer to as " less wiggle room ". They are so tightly compact that in all this ripeness of fruit I feel like my palate has less room to breathe and that is less to my personal liking. I'd rather have more space between the gaps and various flavorings and tastes. I want my palate to be a part of the experience and to do that it needs some space, too. Sounds confusing, I know. But it is where I am at in my palate development and now having said that I can move on with this story. For me everything is a story. I love stories, they are the best; they are the glue that binds and the part that I remember always.Zelma came once with my rep Chris Pigott to present the two wines initially in the store. That is what you will see pictures of now. I will have to find the other pictures of our marvelous lunch at Yannick Cam's marvelous Le Paradou restaurant. The luncheon was on October 17th, 2006 and both Zelma and Mike Ratcliffe were there. I have wonderful pictures of that, too ; I just have to find them now. I'm doing things a bit incompletely these days because I just want to get started, I just want to get some of these stories and pictures out in a public arena where they may be accessed and enjoyed I hope. The rest can follow, put that first foot-step out there and march forward.This whole blogging thing has been a marvelous outlet for me and I hope to go really far with it all with your patience and understanding. I'm trying to add to the equation of wine with interesting stories and vignettes and snippets of things that hopefully will " flesh-out " the wines and the people that either make them or pay for them to be made. I'm looking for sparks of the passion and the dedication and the humbleness and integrity of artistic/business production that result finally in wonderful wines to some of at least to be enjoyed. This is certainly less quantifiable than telling about points and scores and competitions : I find it refreshing , giving me my space to breathe and move more freely and appreciate on my terms all this first-hand and not spoon-fed to me by the many experts out there. End of editorializing, sorry, I can't help myself. I want people to have their own experiences on their own terms and to make their own marvelous discoveries and observations big and small. That's what they will always remember and carry with them and tell/share with others later.I still have not met Dr. Phillip Freese. I hope to someday. That will be nice when it happens. In the meantime I have met and enjoyed spending a little bit of time on more than one occasion now with both Zelma and Mike. Mike has conducted a tasting in our store in the past on his WARWICK WINES ( the Professor Black Sauvignon Blanc, the Chardonnay, the red Pinotage, the " Three Cape Ladies "( a blend of Cabernet Sauvignon, Merlot and Pinotage ) and we sold a whole lot that evening especially of the Three Cape Ladies.At lunch we were served four of the WARWICK wines ( the Sauvignon Blanc 2005( $19 ), the Estate Pinotage 2004($25), the Estate Three Cape Ladies($27) and the Estate Red Reserve( $35). These prices are approximate and may not reflect the new prices and vintages on our shelves. Call for more current pricing and availability. From VILAFONTE we drank the two reds " M " and " C " Series at the prices quoted earlier above.In a past store email dated Tuesday, October 17th, 2006 I wrote about this incredible experience at Le Paradou. I don't want to rewrite it all. I liked best at the luncheon Mike's Estate Reserve 2001. I ordered with Zelma's counseling the Breast of Duck Foie Gras Tort, wild mushrooms and turnips ( Canette rotie en Aiguillette, Gateau de foie gras, fricassee de champignons, jeunes Navets a Fanes ). Sure does sound great in French, don't you agree?With the VILAFONTE reds here is what I wrote then " Then Zelma's VILAFONTE "M " and "C" were served and I almost fell out of my seat - I know I stopped mid sentence to FOCUS ALL MY ATTENTION on these two fabulous red Meritage Bordeaux-yet-not-yet-lusher-yet-riper-yet-more-unctuous-more-decadent wines. HOW DO THEY ACHIEVE SUCH RIPENESS and fullness and GENEROUSNESS/FORGIVENESS from these two young-vined wines? The " M" was perfect now, the "C" was delicious but I could wait more for it. ALL THE LEVELS / all the space on my taste buds were completely filled with both these wines! The foie gras was what made the difference- because of the added richness/concentration of ripe, not jammy fruit the foie gras was what cemented the two wines ( and Mike's WARWICK reserve 2001 ) with the breast of duck. As I was leaving I spotted Yannick and thanked him. "I wish VILAFONTE good luck and success in their ventures. For me the jury is still out. I'll have to wait and see and taste future vintages. For the time-being I'd personally prefer to buy more of Mike's wines as they are classic/traditional in style, less expensive and more to my taste at this moment in time. But as I said I applaud them for their efforts on these VILAFONTE wines, I wait to see and taste more and I thank them for including me in this amazing wine-food-pairing experience.As you can see from these pictures Zelma is busy signing my book. Everyone gets a white virgin sheet of paper to fill as they wish about their experience at Cleveland Park Wines and Spirits. They can say whatever they want in whatever language. I attach their business card to it and " voila " I have a part of the souvenir. They also sign my wine poster. I'm now working on the third such poster.I have to find what Zelma wrote and include it in a later blog with the pictures of the luncheon. For the time-being these will do nicely. It's Monday, July 7th, 2008 here at home at 11:07 A.M. and I'm thinking of taking my wife out to lunch when she returns shortly. It's my day-off and that will be nice, just the two of us.